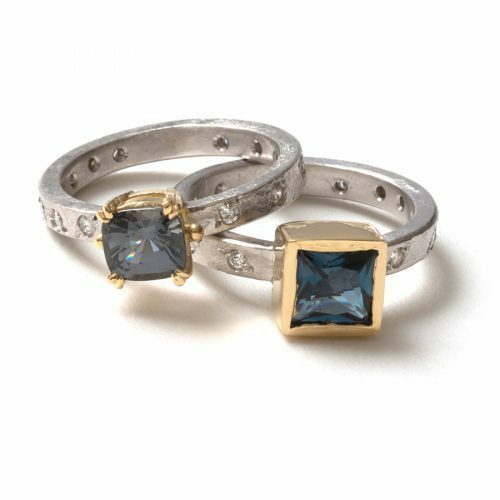 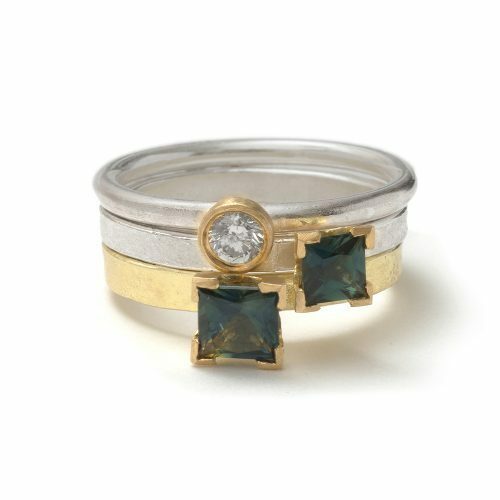 This beautiful stack, created from textured and hand formed silver and 18ct gold, with 2 claw set princess cut party sapphires, and a rub over set diamond. 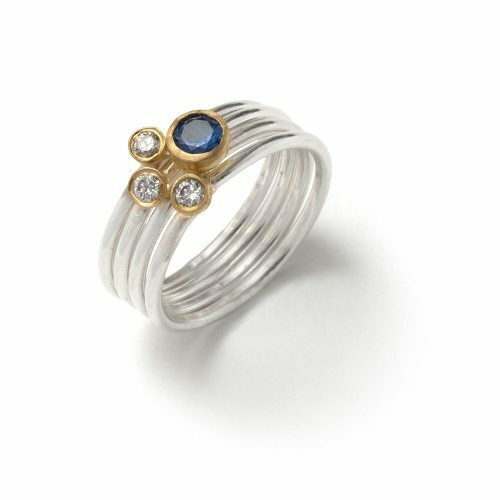 sterling silver and 18ct gold with 4mm and 3.5mm party sapphire and .25ct of diamond (4mm diamond; 2mm square shank, and 1.8mm round shank, 5mm tall settings. 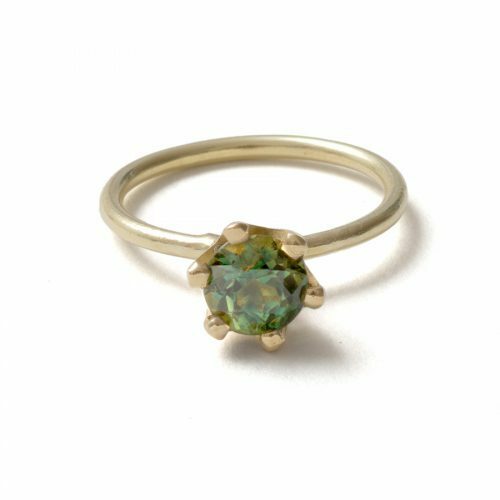 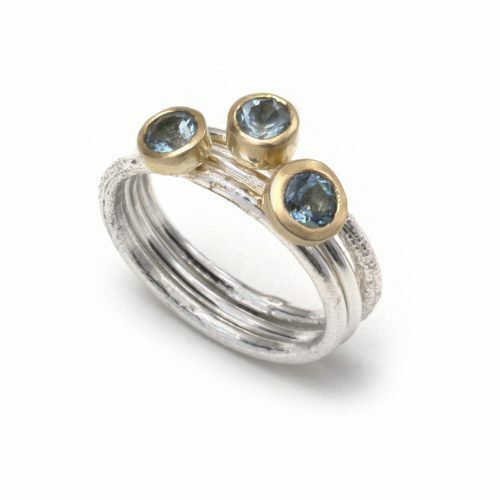 Created from textured and hand formed silver, set in 18ct gold gum nut settings with 3 aqua marines, this ring set is beautifully simple and elegant. 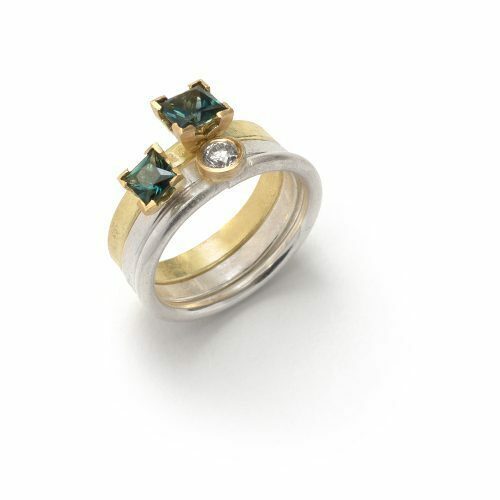 sterling silver and 18ct gold with 4mm aqua marines, 1.5mm shank, 3mm – 5mm tall settings. 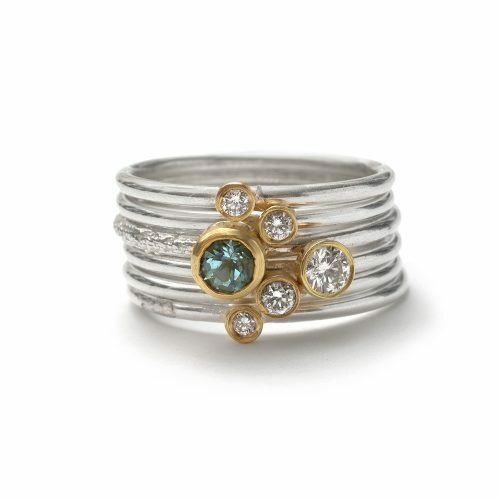 This beautiful stack, created from textured and hand formed silver, set in 18ct gold gum nut settings with aqua marine and 5 round brilliant cut diamonds. 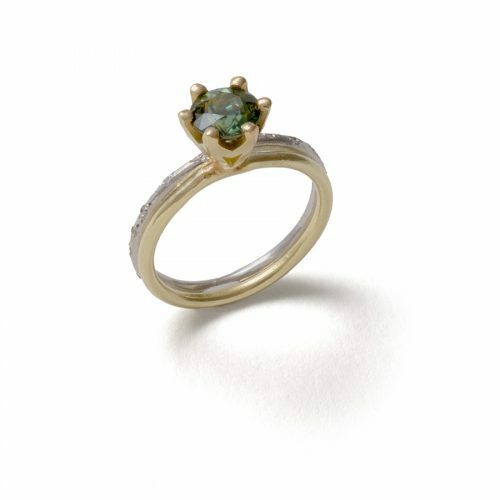 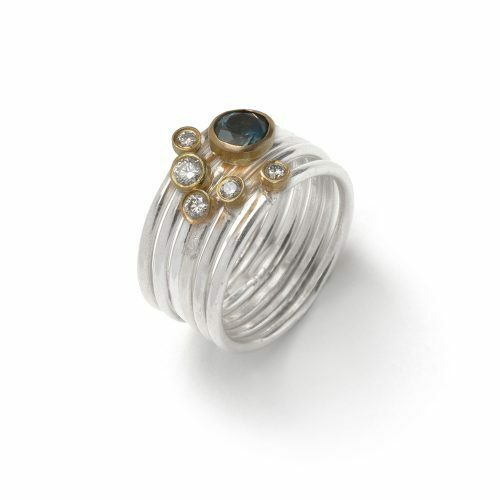 sterling silver and 18ct gold with 4mm aqua marine and .24ct of diamonds, 1.5mm shank, 3mm – 5mm tall settings. 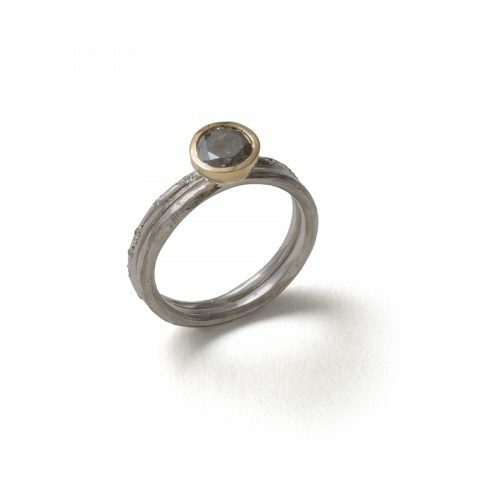 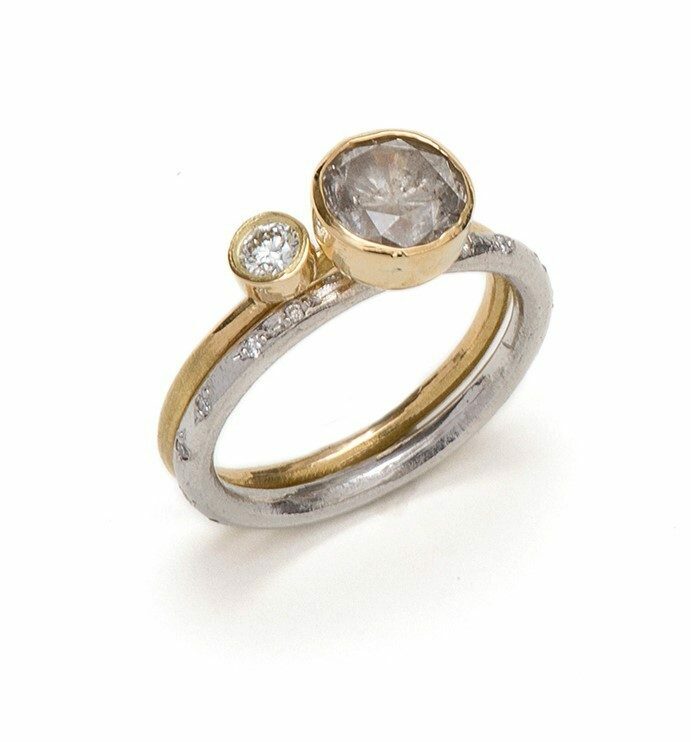 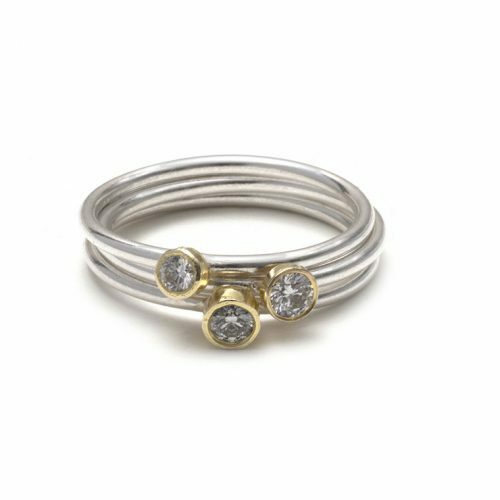 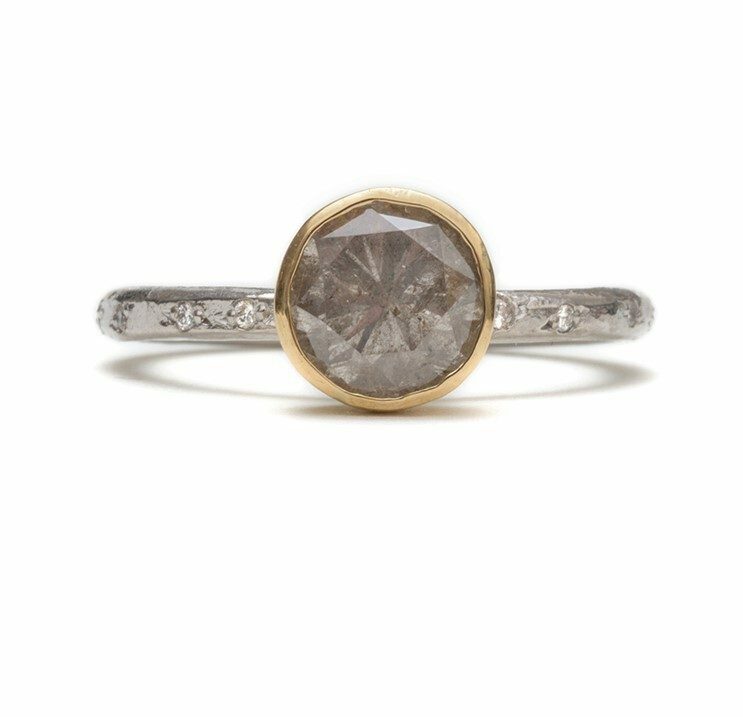 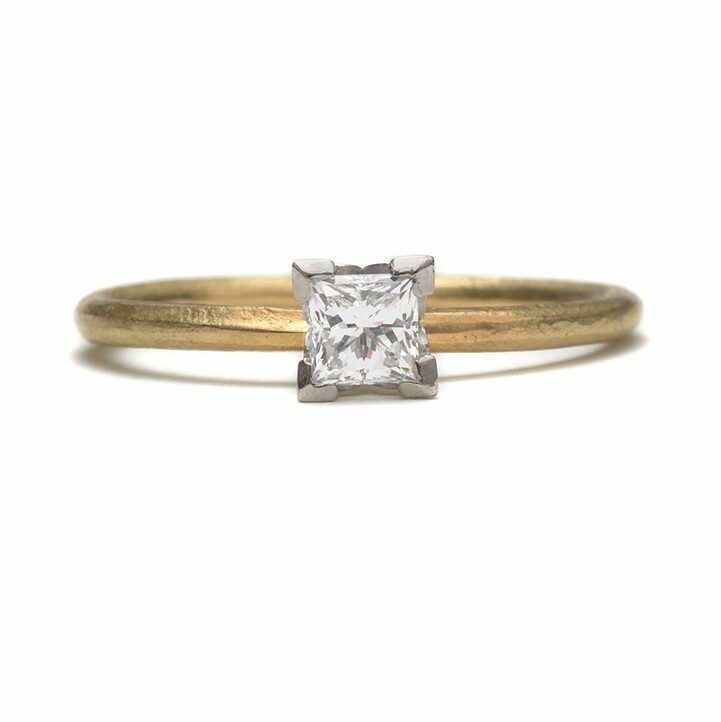 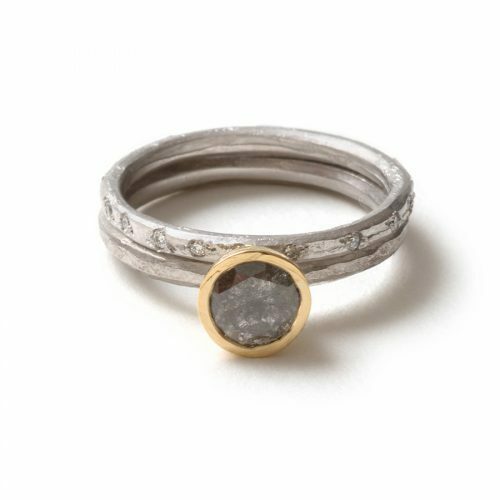 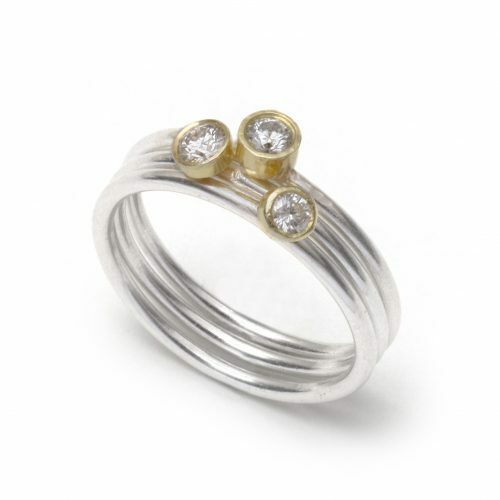 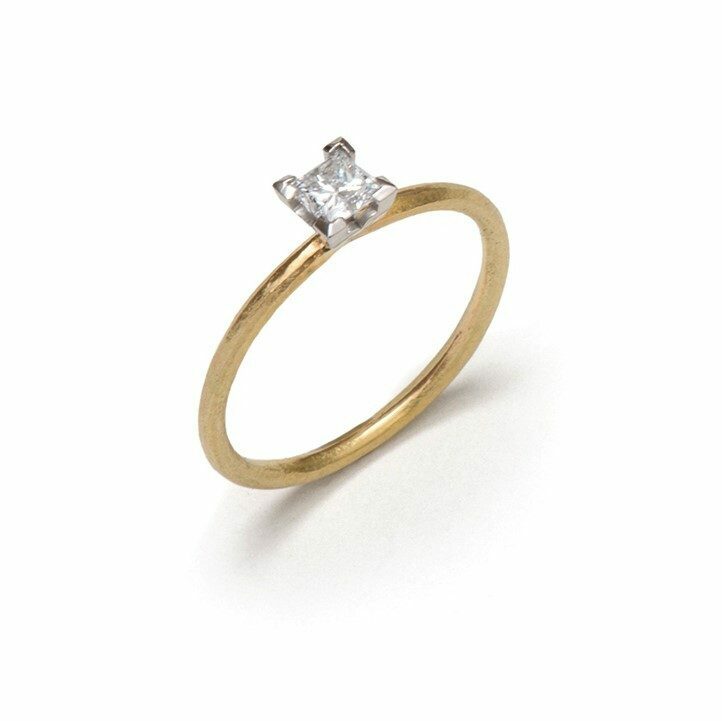 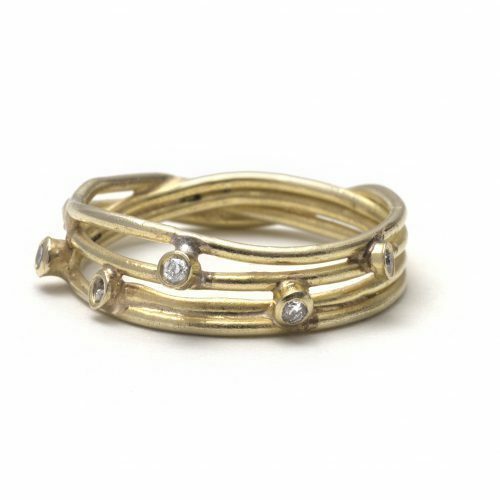 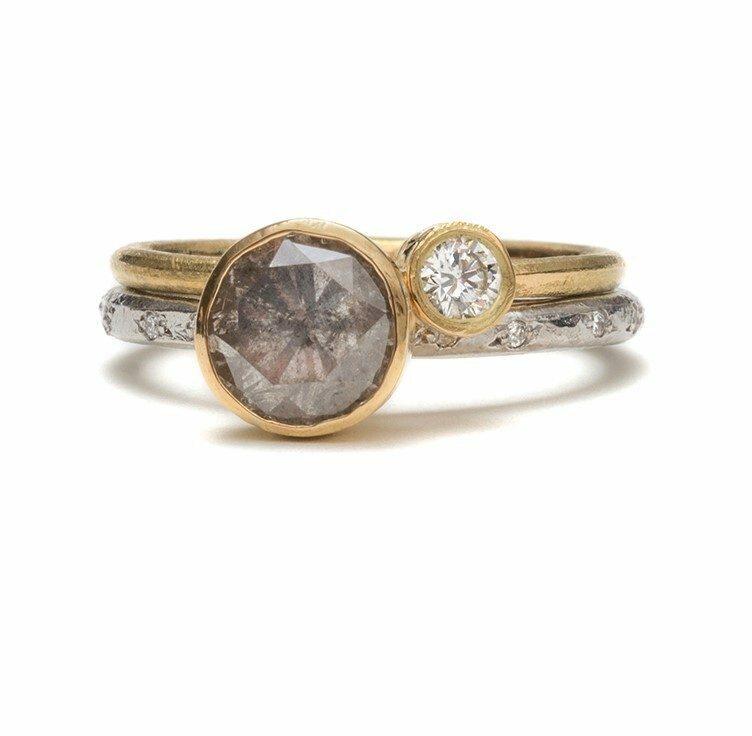 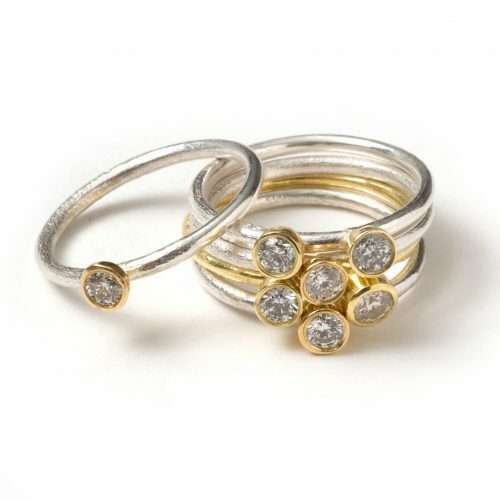 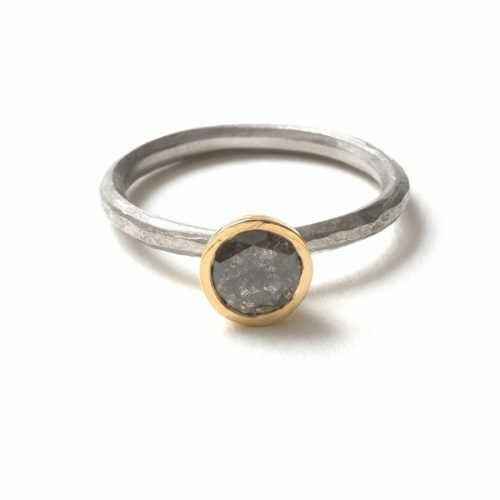 Created from textured and hand formed silver, set in 18ct gold gum nut settings with 3 round brilliant cut diamonds, this ring set is beautifully simple and elegant. 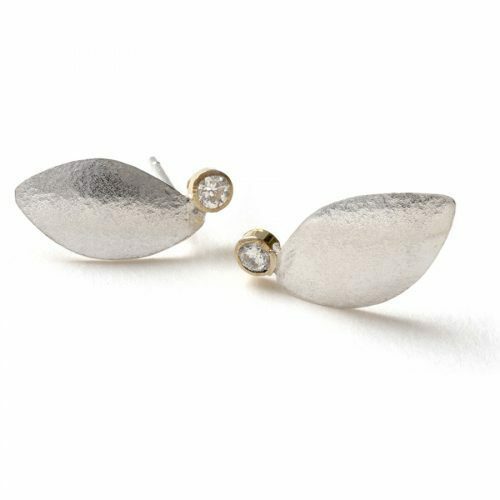 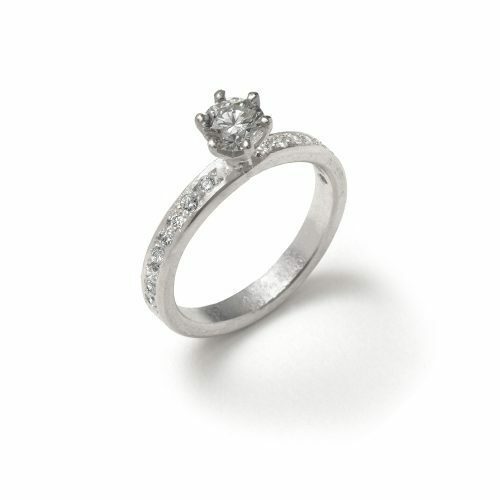 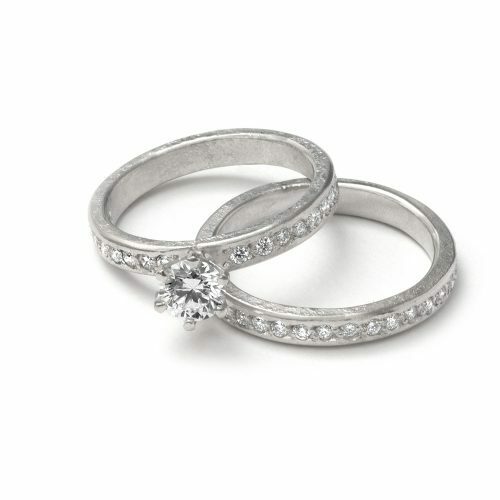 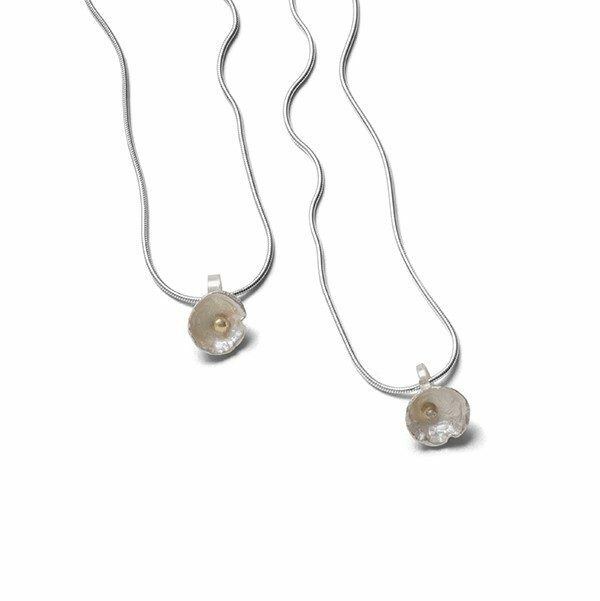 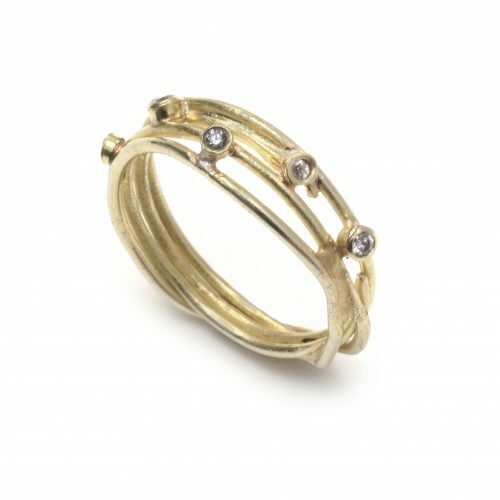 sterling silver and 18ct gold with .63ct of diamonds, stones are 4mm, 3.75 and 3.5mm, 1.5mm shank, 3mm – 5mm tall settings. 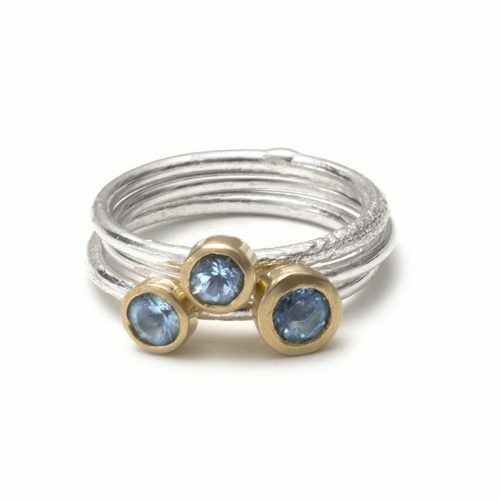 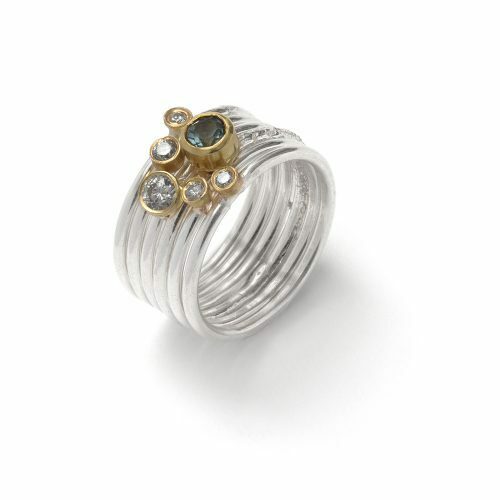 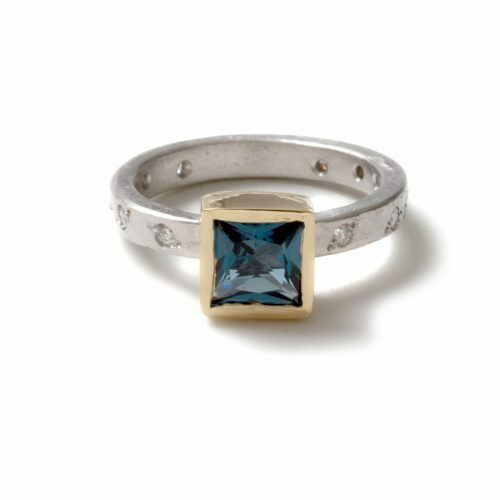 This beautiful stack, created from textured and hand formed silver, set in 18ct gold gum nut settings with London blue topaz and 5 round brilliant cut diamonds. 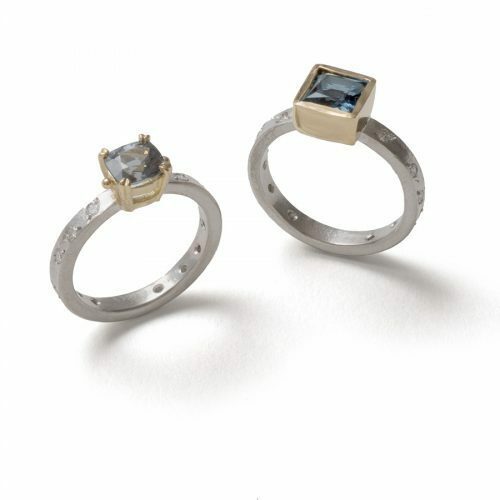 sterling silver and 18ct gold with 5mm London blue topaz and .21ct of diamonds, 1.5mm shank, 3mm – 5mm tall settings. 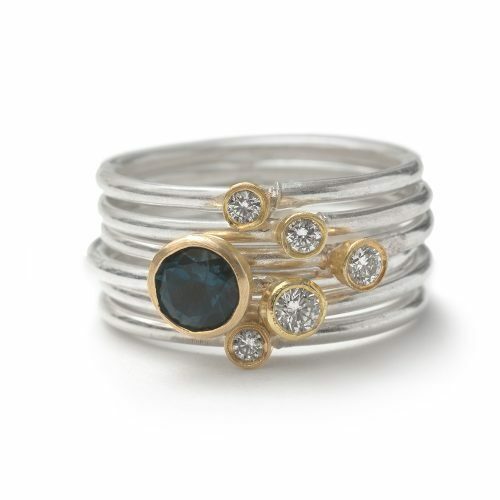 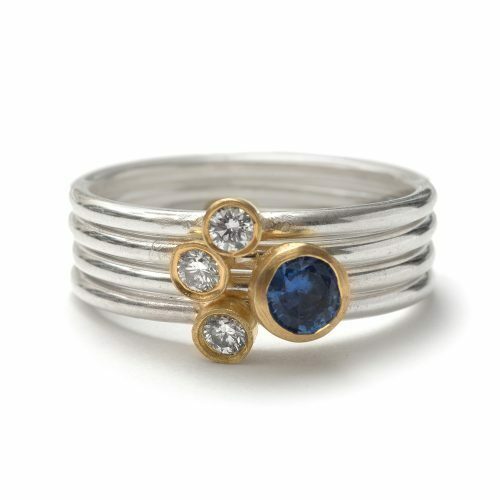 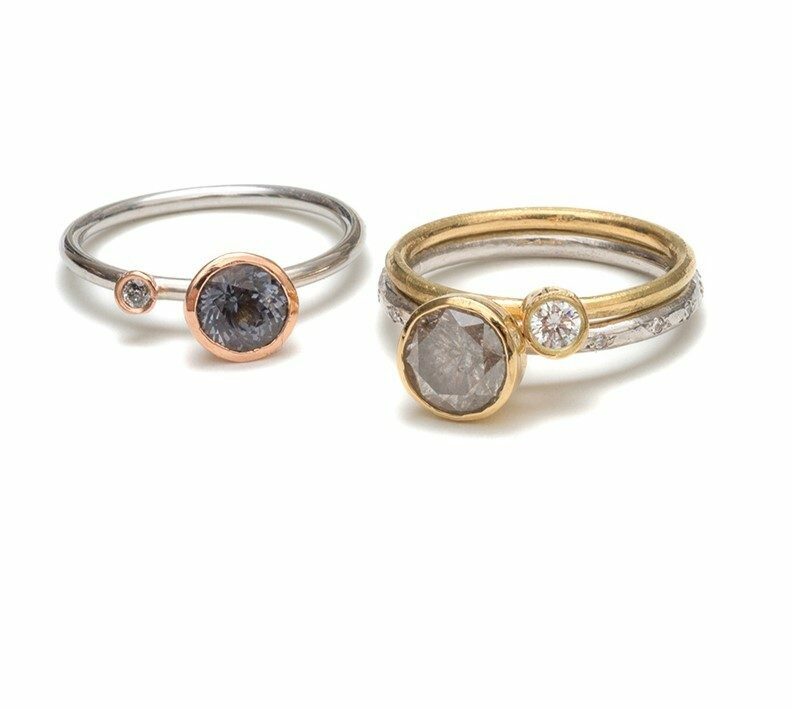 This beautiful stack, created from textured and hand formed silver, set in 18ct gold gum nut settings with Ceylon sapphire and 3 round brilliant cut diamonds. 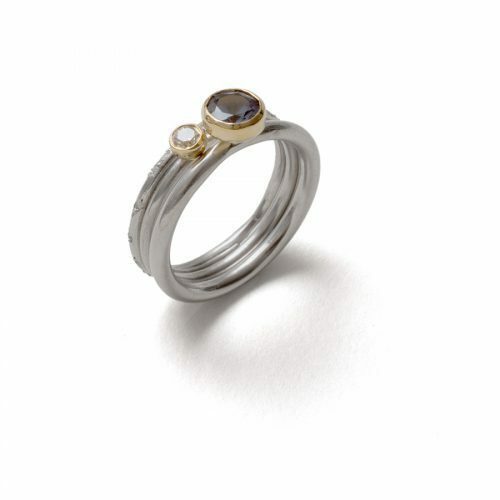 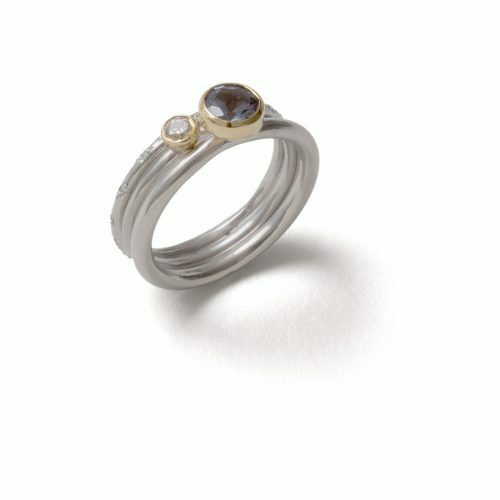 sterling silver and 18ct gold with 4mm Ceylon sapphire and .19ct of diamonds, 1.5mm shank, 3mm – 5mm tall settings.